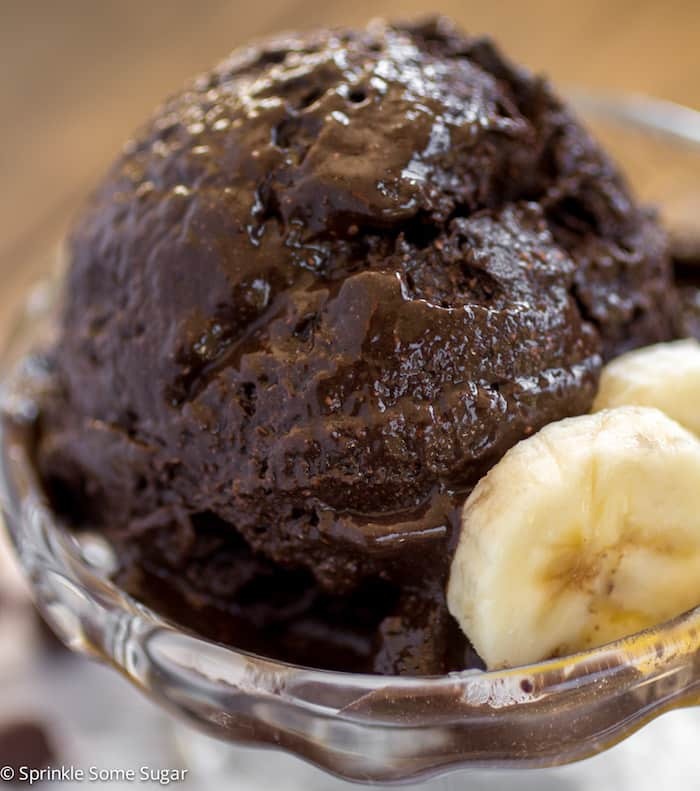 Chocolate Coconut Ice-cream - Chocolate Chocolate and More! This two ingredient no-churn ice-cream will blow your mind. 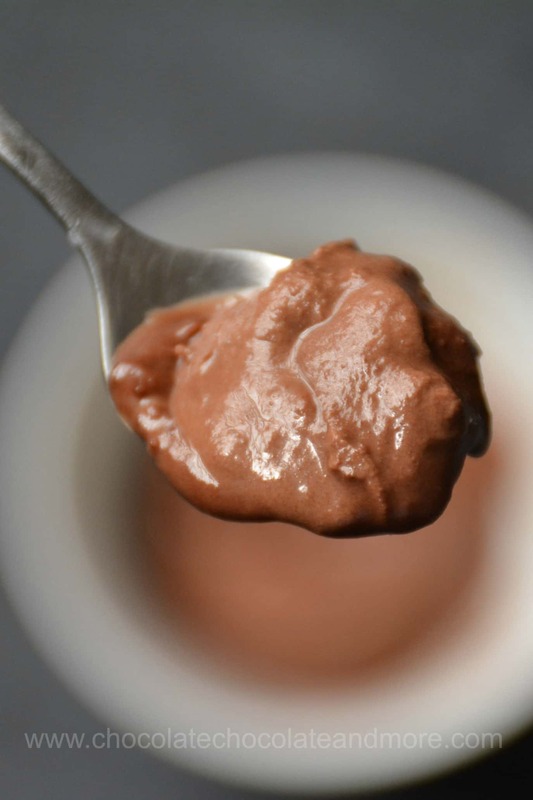 This creamy, rich chocolate coconut ice-cream can be ready to serve in just 2 hours. I had some last minute guests over for dinner the other night. Some of my guests don’t eat dairy. Now what’s a butter and eggs girl like me going to serve guests who don’t do dairy? I had some coconut milk and dark chocolate bars so I thought I’d make some ice-cream. I heated my coconut milk and melted the chocolate in it. Then I put it in the freezer to cool before churning. And then I forgot about it while I got everything else together. No problem. Two hours later, I pulled it out and it was already at the soft ice-cream stage with no crystals. So I left it in the freezer while we ate. 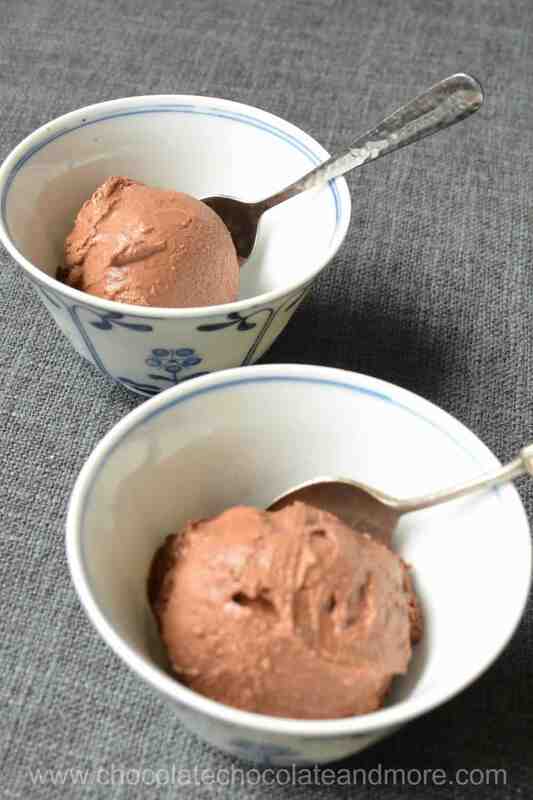 After dinner (about 2 more hours), I scooped this chocolate coconut ice-cream up. My guests were amazed that it was homemade and dairy free. One guest commented that she couldn’t taste the coconut at all. There is a small hint of coconut. You have to be careful not to overheat your coconut milk. Coconut milk curdles if it’s overheated. Heat coconut milk until it's steaming but not boiling. Add chocolate and let sit for 5 minutes. Stir to mix. Put in a shallow container and cover to freeze. Nutrition information is provided as a guideline only. If you have dietary requirements, please consult a dietitian. It looks fabulous! Could it be made with cream instead of coconut milk? I used boxed coconut milk so not fresh. I’m pretty sure you’d get the same results from canned because boxed and canned are basically the same. Oooh, those sound soooo good!